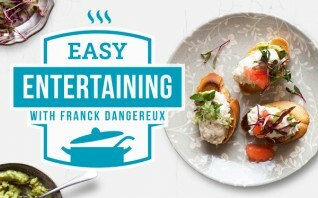 Join accomplished chef and restauranteur Franck Dangereux as he shares his passion and flair for entertaining at home using recipes for chef-quality canapés, desserts, dips, mains and vegetable dishes. Learn how to wow your guests with scalable recipes and simple techniques, and gain the skills and know-how needed to tackle crowd favourites like mini baguettes, cocktails, cruditées, baba ghanoush, Ratatouille and more. Real estate can be an exciting career. It is an excellent career choice for persons who are independent, self-motivated, can work on their own schedule and want to be their own boss. In a real estate career, you get to know places intimately and appreciate every aspect of the properties including the landmarks, establishments and festivities in the surrounding areas. You get to use your creativity as you rearrange furniture and set the home for a viewing. Most of all, you get to meet new people and lead them to the perfect home just for them. Existing real estate professionals need to educate themselves constantly and renew their license according to the needs of their state. Those who want to shift to a real estate career must take adequate training and pass a licensing exam. Whether you are shifting to a Real Estate career or just trying to renew your Real Estate License, you can find a real estate course just for you. 360training.com's Real Estate Education can provide you with all the real estate training that you need whether you want to start a real estate career or renew your real estate license. This course will cover the aspects to becoming an internal auditor for ISO 9001:2008. You will understand the ISO 9001:2008 Requirements for a Quality system structure and documentation, plus Audit methodology and techniques. It will also cover and give Practice on Internal audit non-compliance and how to convert a written procedure to a process map or flowchart. Up your game in the kitchen with Yuppiechef's online cooking courses. Learn at your own pace, in the comfort of your own home. Why not get the kids involved too? 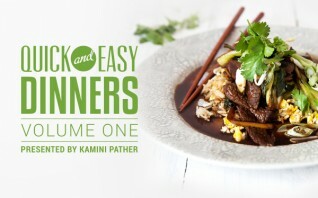 Join foodie personality and Masterchef winner Kamini Pather for a witty and engaging lesson in the art of quick and easy dinners, covering popular quick-fixes for a tasty time with friends and family. Learn how to maximise convenience without compromising on taste, and make the most of Kamini’s tips and tricks for speedy and delicious staples like Beef Teriyake with egg fried rice, Chicken curry and more. Up your game in the kitchen with Yuppiechef's online cooking courses. Learn at your own pace, in the comfort of your own home. Why not get the kids involved too? Keen to master the art of all things meaty? 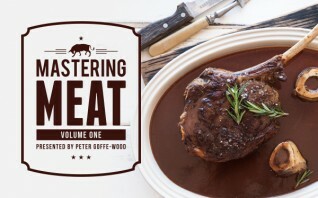 Join legendary South African chef and TV celebrity Peter Goffe-Wood on a fiery and entertaining journey through the foundations of excellent roasting, frying, grilling and barbecuing. Learn how to bring dishes to life with tasty accompaniments and chef-quality sauces and get all the skills and theory needed to conquer classics like roast leg of lamb, spatchcock chicken, homemade hamburgers, tender pork fillet and more.